Sadly, G.Fletcher’s profile of Laurie Rockwell, “An Exemplary Ecological Reserve Warden,” published in “The Log, Autumn/Winter 2014”, requires an update. In February 2017, after twenty-five years of service as an Ecological Reserve warden, Laurie stepped down from the position because of deteriorating health. He died in early March. Biologist Orville Dyer, newly retired from BC’s Ministry of Forests, Lands and Natural Resource, recently said, “I greatly value Laurie’s commitment to nature and his consistent help with protecting it. 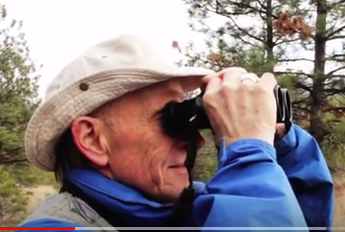 He is a great advocate for parks, ecological reserves and other natural places that conserve the ecosystems and species that he clearly loves.” Along with his ER duties, Laurie carried on yearly monitoring of conditions in Sunoka Provincial Park. 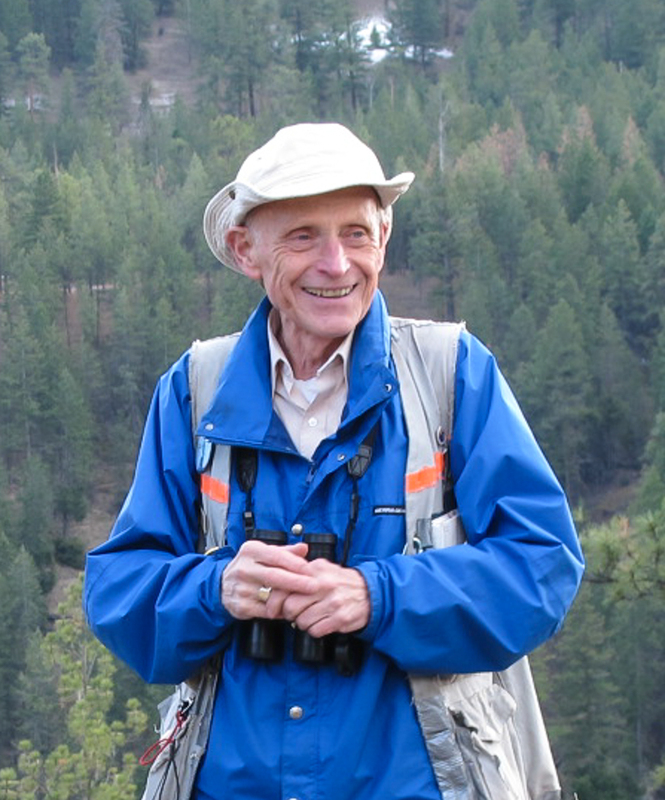 He conducted a long-term study of Grey Flycatcher migration and breeding behavior, and yearly owl surveys for Birds Canada, as well as contributing to the BC Breeding Bird Atlas. A passionate birder, he co-ordinated Christmas Bird Counts and enjoyed offering courses and tours to beginning birders, especially children. Laurie was a charter member of the Summerland Environmental Science Group. He promoted the Earth Day planting of native trees and shrubs, and enabled their survival by combating weeds throughout the season. The natural world lost one of its staunchest supporters with Laurie Rockwell’s passing.